Transport Minister, Claire Perry and Business Secretary, Vince Cable will launch the VENTURER consortium’s driverless car trial today, giving the project the green light to test autonomous vehicles in the real world. 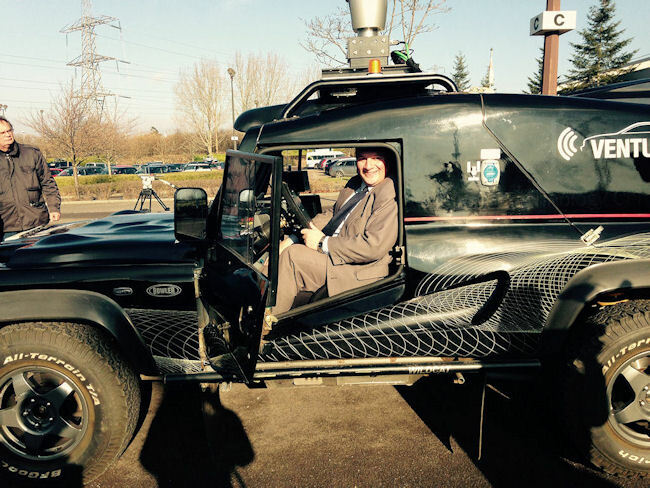 The VENTURER consortium will trial autonomous vehicles in the Bristol and South Gloucestershire council areas to explore the feasibility of driverless cars in the UK. The project will investigate the legal and insurance aspects of driverless cars and explore how the public react to such vehicles. The VENTURER trial will run for 36 months. Testing of the consortium’s autonomous vehicle, the BAE Systems Wildcat on private and public roads is due to begin in early 2016. The VENTURER trial is one of three projects being funded by Innovate UK to investigate how driverless vehicles could fit in with every-day life. The GATEway project will explore new forms of automated technology in Greenwich while the UK Autodrive project is being run in Milton Keynes and Coventry.